Packed with such determination, our young Presidians have gifted us the ethos of another big achievement at an esteemed zonal contest. 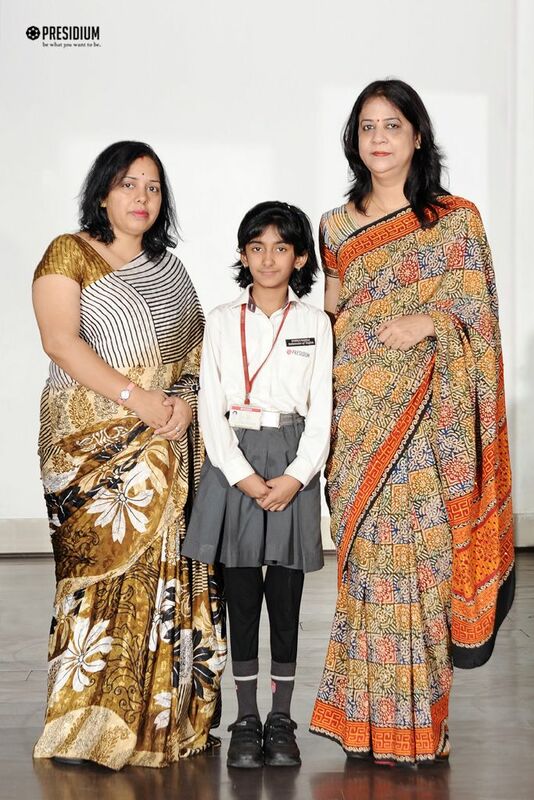 Nyonica Narula of grade 6 from Presidium, Dwarka 16B bagged the first position in the 'zonal Hindi declamation competition' organized by DOE. The audience and the judges were awestruck to hear Nyonica's impressive and confident speech. Held at Shiv Vani Model Senior Secondary School in Dwarka, the prestigious competition received participation of 45 brilliant students but it was a delight to witness a talented Presidian take the cake. Congratulations to Nyonica and her hardworking and dedicated mentor, Ms. Archana Kumar!